Watch PDA: Public Display of Affection perform “Shallow” by Lady Gaga & Bradley Cooper by clicking here. Fort Scott, KS. 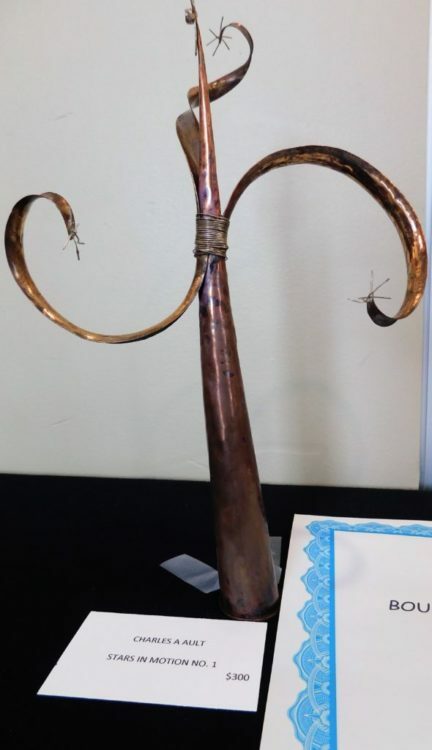 — Fort Scott Presbyterian Village recently hosted a reception for the winning artists in the annual Art is Ageless® juried competition. Local competition winners will join winners from 16 other Presbyterian Manors of Mid-America communities to be judged at the masterpiece level. Winning entries at the masterpiece level may be selected for publication in PMMA’s annual Art is Ageless calendar and note cards. Art is Ageless is a copyrighted program of Presbyterian Manors of Mid-America. For the competition, works must have been completed in the past five years. 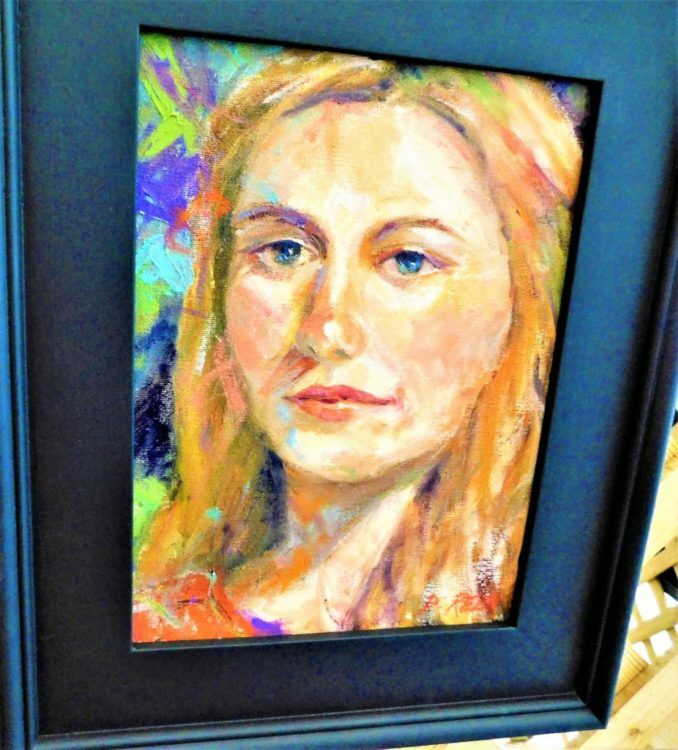 Started in 1980, Art is Ageless is an extension of Presbyterian Manors of Mid-America’s wellness programs, which focus on mental, physical, social and spiritual health. For more information about Fort Scott Presbyterian Village, 2401 S. Horton Fort Scott Ks, contact Becky Kellum at 620-223-5550, or rkellum@pmma.org. Bourbon County Arts Council Members present at the Chamber of Commerce weekly coffee on Thursday morning: Steve Floyd, Elaine Buerge, Deb Anderson and Danny Magee. 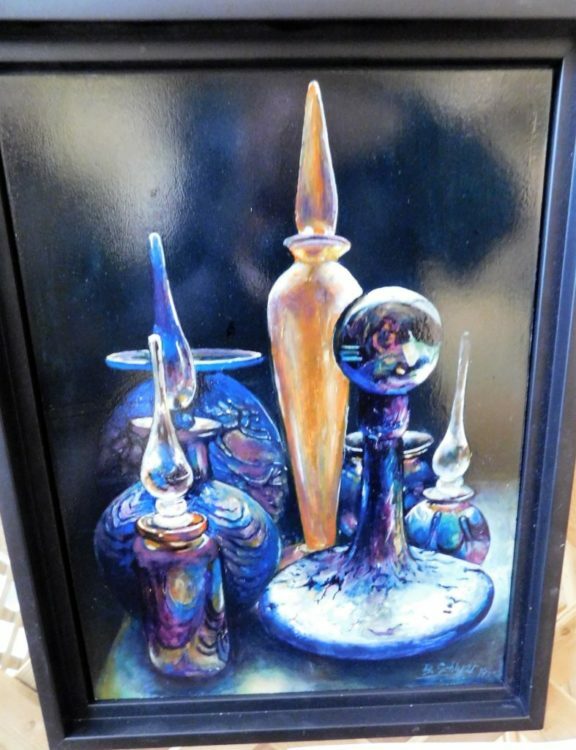 For the 27th year, the Bourbon County Arts Council has sponsored a fine art exhibit and sale for the community. The venue once again is the Ellis Fine Arts Center on the campus of Fort Scott Community College, 2108 S. Horton. 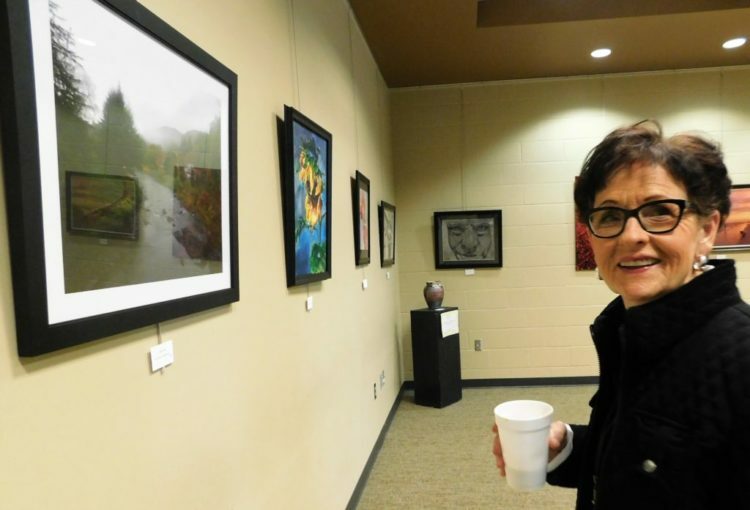 Members of the Fort Scott Chamber of Commerce had the opportunity to view the exhibit during its weekly coffee on Thursday morning at the Ellis Center. 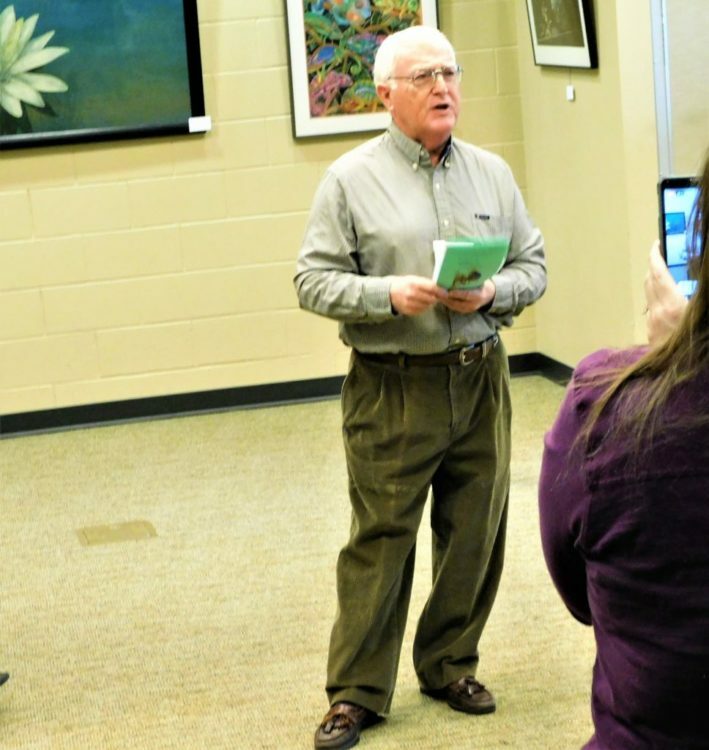 BCAC member Danny Magee tells the Fort Scott Chamber of Commerce weekly coffee attendees about the art exhibition. Beth Nuss enjoys a photograph in the BCAC Exhibit on Thursday morning at the Ellis Fine Arts Center. 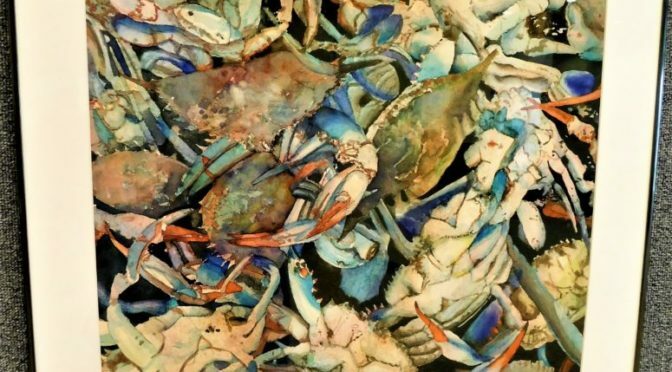 Ally Turvey looks over the watercolor artwork of Debbie Reed, entitled Feeling Crabby. 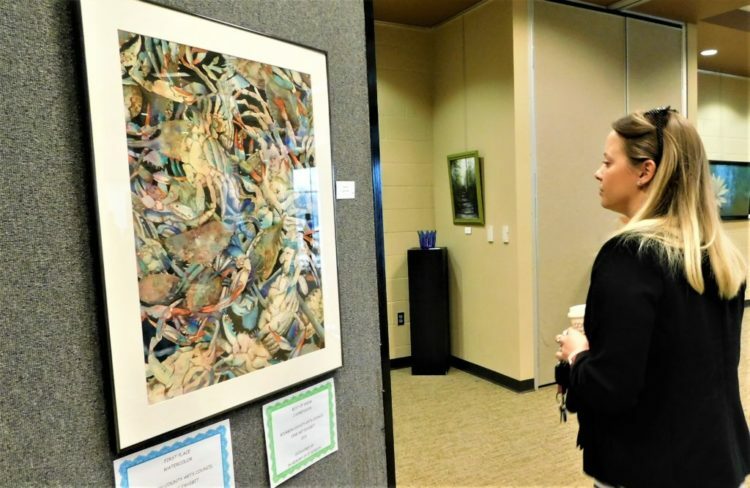 Angie Simon views exhibits at the Bourbon County Arts Council Arts Exhibition and Sale. 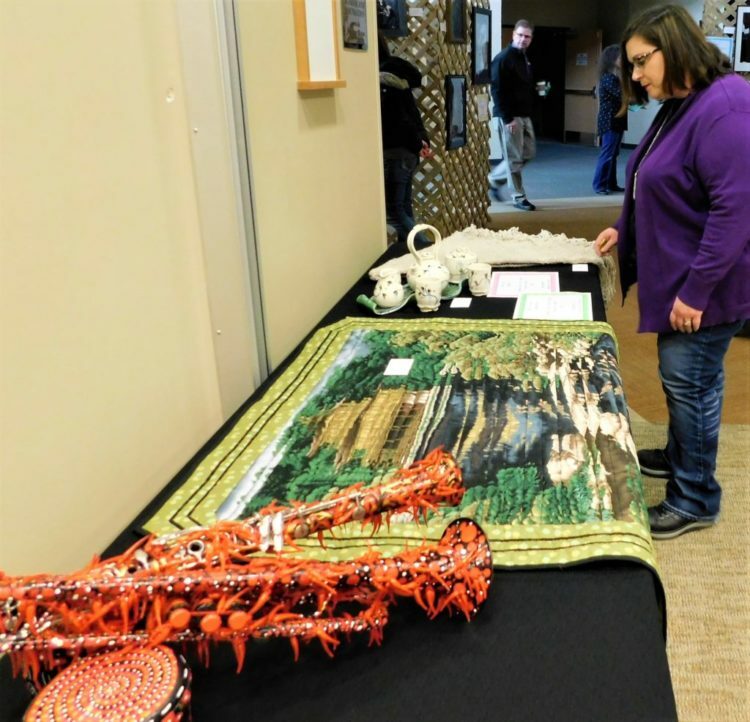 The free event continues today through 7 p.m. and again tomorrow, Saturday, March 9 from 9 a.m. to 1 p.m.
Much of the art is for sale. The BCAC continues the annual show with the help of the following who provided corporate prizes this year: In Memory of E.C. Gordon, Buerge Art Studio, Landmark Bank, Citizens Bank, McDonald’s Restaurant, Union State Bank, H & R Block, H & H Realty, Fort Scott Broadcasting, Bernita Hill, Ward Kraft and City State Bank. The BCAC also helps fund art walks, concerts, Bad Art By Good People, music programs at area schools, scholarships, opportunities for Fort Scott students to experience a production in Kansas City, and recently contributed to the Steinway piano repair for use by the USD 234 music programs. This Saturday, March 9 the BCAC will help sponsor the Blues and BBQ Concert at the Liberty Theater, featuring Missy Andersen and Her One Man Band. 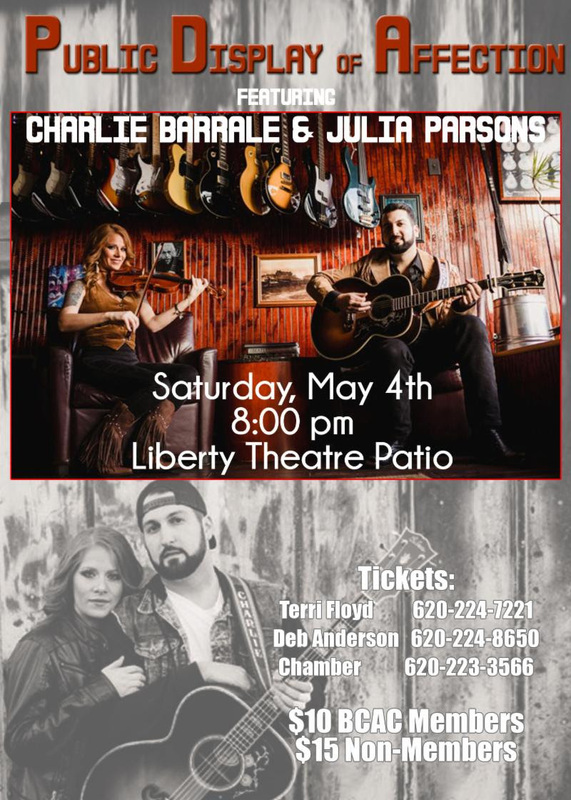 Upcoming Patio Concerts: Charlie Barrale/PDA on May 4 and Whiskey Raccoons on June 22 at the Liberty Theater. Members of the BCAC are Deb Anderson, president, Elaine Buerge, Deb Halsey, Breann Martin, Terri Floyd, Steve Floyd, Tedena Tucker, Danny Magee, Ray Streeter, Laura Meeks and Chris Woods. 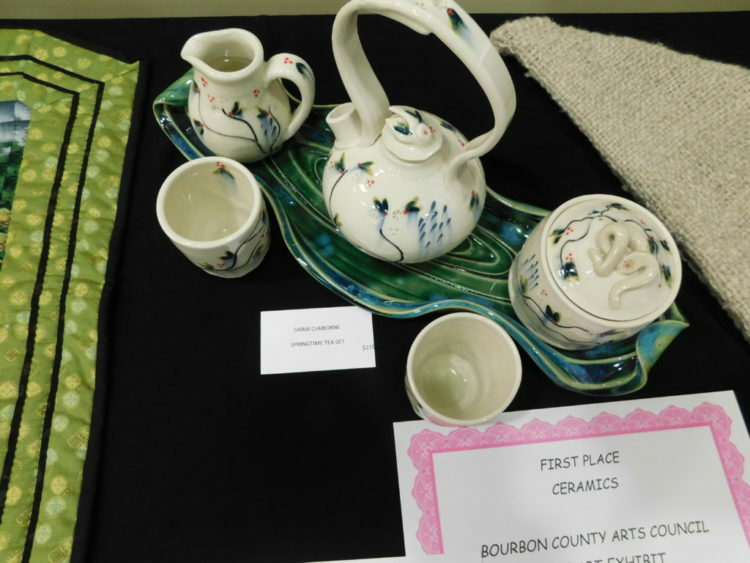 1ST PLACE, DARIA CLAIBORNE, Joplin, Mo., SPRINGTIME TEA SET with an monetary award of $150**. ** Denotes the artist who won in more than one category in the exhition. 2ND PLACE, STEVE FLOYD of Fort Scott, RUDY, MY SON IN A FUR COAT, $75. 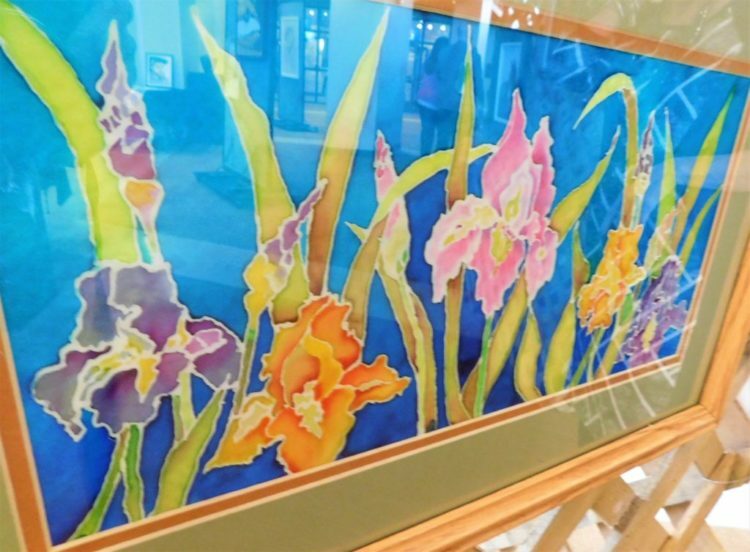 1ST PLACE, GLENDA FLANAGAN of Louisburg, IRISES, $150. 2ND PLACE, CAROLINE DAY of Pittsburg, SUNRISE MOONRISE, $75. 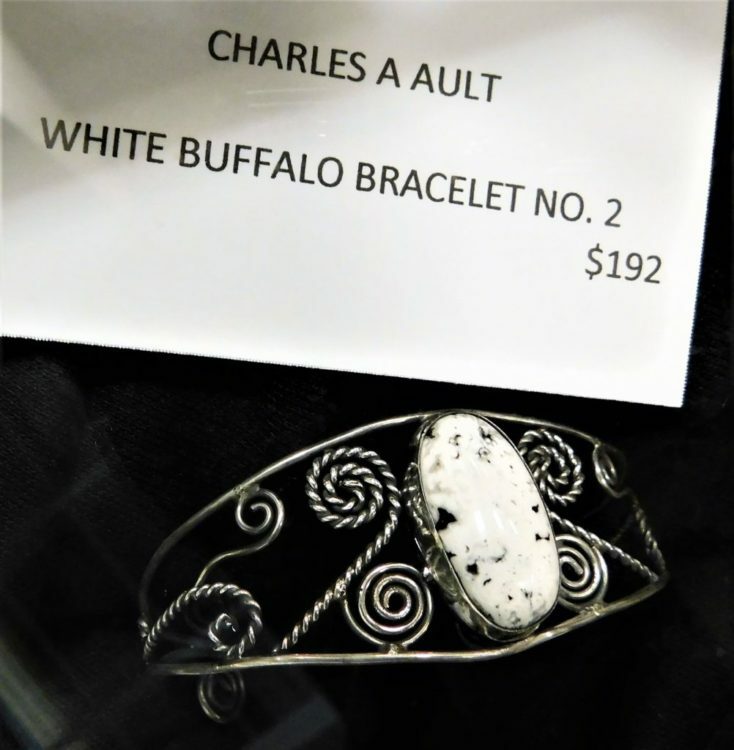 1ST PLACE, CHARLES A AULT of Pittsburg, WHITE BUFFALO BRACELET, $150**. 2ND PLACE, BARBARA GIBSON of Fort Scott, NECKLACE, $75. 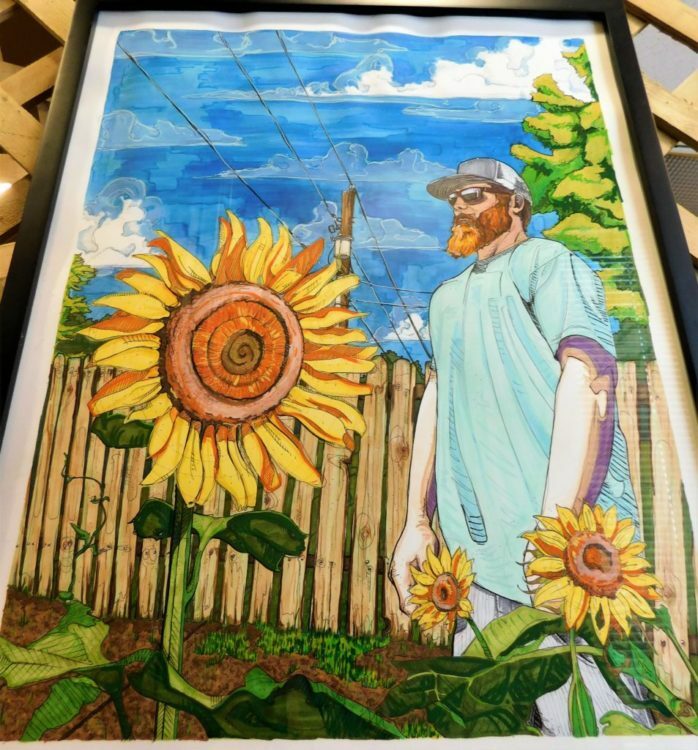 1ST PLACE, RIPP HARRISON of Lawrence, THE RECONNECTION OF GUS, $150. 2ND PLACE, DEE HUTCHERSON of Neodesha, KIMONO, $75. 1ST PLACE, ROBERT SCHYLER, EVENING IN PARIS, $150**. 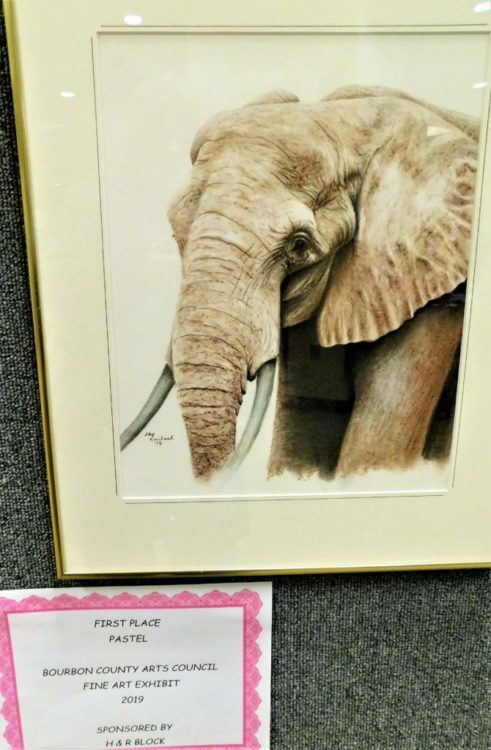 2ND PLACE, IRENE SCHOMACKER of Spring Hill, SNOWSTORM BUFFALO, $75. 1ST PLACE, SKIP KREIBACH of Derby, BIG GUY ON CAMPUS, $150. 2ND PLACE, DANIELLE YOUNG of Bronson, BETTER TOGETHER, $75. 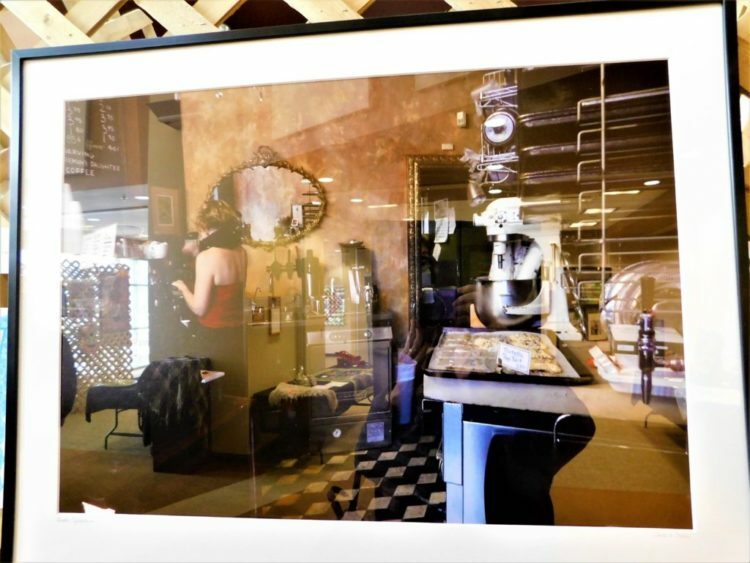 1ST PLACE, LINDA TEETER of Carl Junction, Mo., SEATTLE COFFEE HOUSE, $150. 2ND PLACE, CURT HEIDE of LaCygne, LAZY RIVER, $75. 1ST PLACE, CHARLES A AULT, STARS IN MOTION, $150**. 2ND PLACE, AL LETNER, PORTAL 46, $75**. 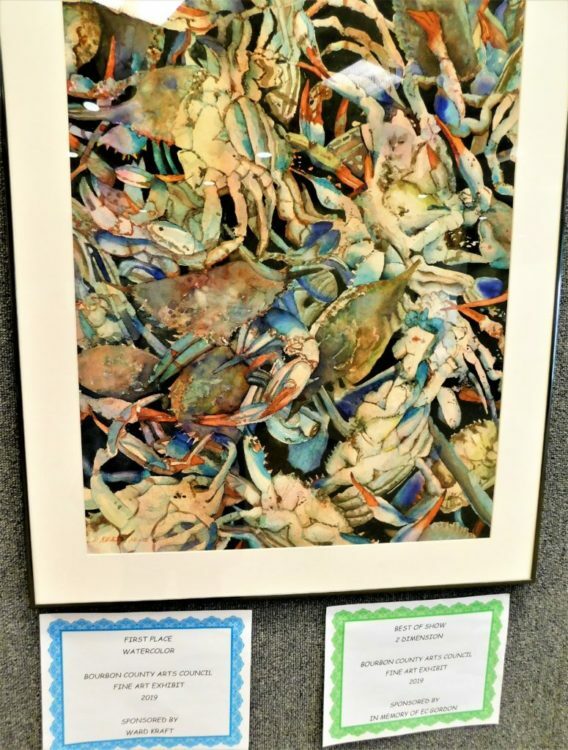 1ST PLACE, DEBBIE REED of Joplin, Mo., FEELING CRABBY, $150**. 2ND PLACE, ANITA WILSON of Thayer, HILL SONG, $75. Chamber members and guests are encouraged to attend for networking, community announcements, and to learn about the hosting business or organization. 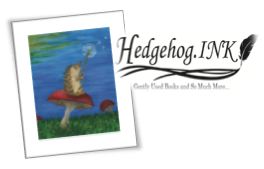 Members may pay $1 to make an announcement about an upcoming event, special/sale/discount, or news of any kind. 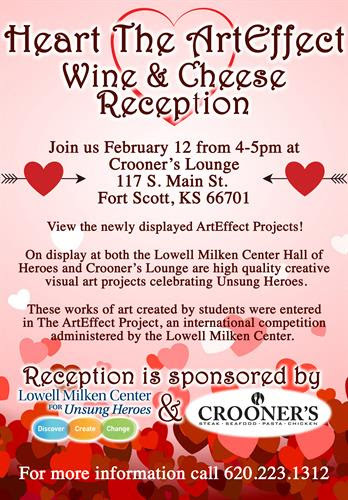 Join us Tuesday, February 12th from 4-5pm for a Wine & Cheese Reception at Crooner’s Lounge! 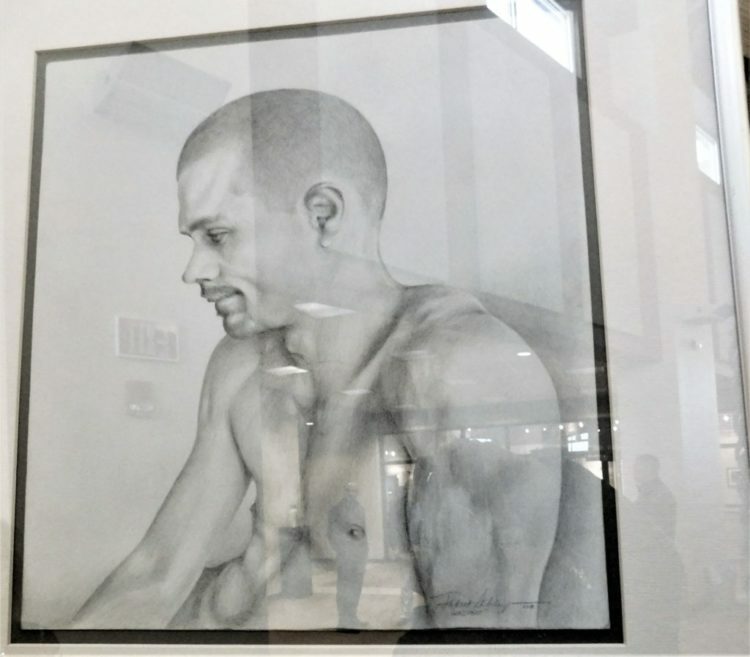 These works of art created by students were entered in “The ArtEffect Project”, an international competition administered by the Lowell Milken Center for Unsung Heroes.